While there’s no age limit for Accidental Injury Cover (Basic Accident Only Cover), dogs and cats nine years and older cannot be covered for RSPCA Economy Accident & Illness Cover or RSPCA Ultimate Accident & Illness Cover. If they are already covered before they reach the age of 9, they can be insured for life provided you pay your premiums. Puppies and Kittens under the age of 8 weeks are not able to be insured on any RSPCA Pet Insurance policy. Does RSPCA Pet Insurance offer benefits towards preventative treatment? Yes, in line with the RSPCA’s policies we recommend and encourage responsible pet ownership. This includes desexing your dog or cat, microchipping and annual vaccination. If you choose the RSPCA Ultimate Accident & Illness Cover with optional Routine Care Cover you’ll receive benefits that cover part of the cost of these services. Does RSPCA Pet Insurance provide cover towards hereditary and congenital defects? Yes, as long as your dog or cat didn’t show symptoms or clinical signs of these defects before you took out the cover or within the first 30 days of holding cover. Absolutely. 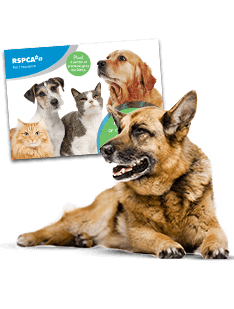 With RSPCA Pet Insurance, you have the freedom to choose any licenced vet in Australia. What does RSPCA Pet Insurance cover? RSPCA Pet Insurance covers your dog or cat for a range of Accidental Injury and Illnesses – from minor problems such as ear infections and bee stings, to major conditions such as broken bones, diabetes and cancer. Depending on which plan you choose, you can protect your pet against Accidental Injury only or both Accidental Injury and Illnesses. By adding Routine Care Benefits to your RSPCA Premium Accident & Illness policy, you can also cover your dog or cat for preventative care such as flea, tick and worm control, vaccinations and teeth cleaning. What if I change my mind after signing up with RSPCA Pet Insurance? You have an obligation-free, 30 day cooling-off period from the start date of your policy to review and cancel your policy if you choose to. If we have already received your premium, we will gladly give you a full refund within this period, as long as you haven’t submitted or received payment for any claims. An illness means an unexpected sickness or disease, or any change to your dog or cat’s normal healthy state, such as an upset stomach, a skin condition or an ear infection, which is not caused by an Accidental Injury to your dog or cat. Illness Cover is available with the RSPCA Economy Accident & Illness Cover and RSPCA Ultimate Accident & Illness Cover plans. A physical or bodily injury that happens accidentally to your dog or cat from an external, violent and visible means, such as a broken bone, snake bites, or lacerations caused in a dog fight. Your policy will start at one minute to midnight on the day that we accept your application. You can claim immediately for events covered under the Accidental Injury Cover section of the policy, provided the accident occurred after the start date. As long as you have chosen Illness Cover, available only under RSPCA Economy Accident & Illness Cover and RSPCA Ultimate Accident & Illness Cover you can claim for illnesses for your dog or cat that first occurred 30 days after the start date of the policy. There is a waiting period of six months, beginning from the start date of the first policy period for cruciate ligament conditions, regardless of what caused the condition. 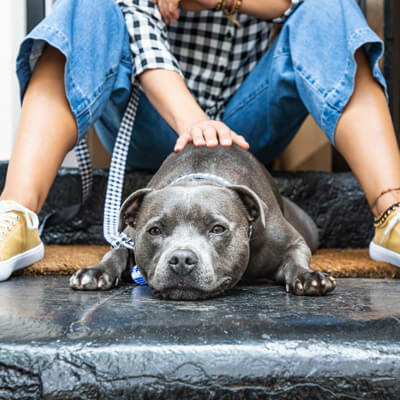 You can have this waiting period waived by completing the Cruciate Ligament Waiver Form, following the instructions explained in the form that you completed for your pet. Who is RSPCA Pet Insurance? 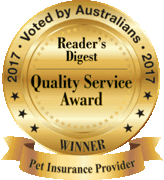 RSPCA Pet Insurance is offered by RSPCA Australia Incorporated, and distributed and promoted by Hollard Financial Services Pty Ltd (HFS). It is underwritten by The Hollard Insurance Company Pty Ltd (Hollard) and administered by PetSure (Australia) Pty Ltd (PetSure). The RSPCA is Australia’s most recognised and best-loved animal welfare organisation, with a history stretching back more than 140 years. Our underwriting partner, The Hollard Insurance Company, is a member of the international Hollard Insurance Group, with 6.5 million policyholders worldwide. 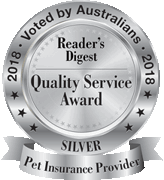 PetSure is the leading Australian pet insurance underwriting manager and administrator.